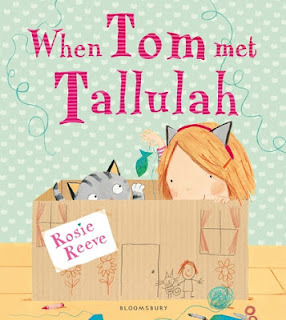 When Tallulah met Tom the cat, Tom was extremely shy. To help him feel relaxed in his new home, Tallulah did everything she could to make him comfortable. She tried really hard to understand his purrs and miaows. She made him toys and found him comfortable places to nap. Tallulah made Tom feel so at home, he thought he should make an effort to understand humans. Tom was so good at copying Tallulah that all of a sudden the roles had reversed. But what was Tom to do when he was much better at being a human than Tallulah was at being a cat? When Tom met Tallulah is a fun, humorous story for young readers with a surprise twist. Ideal for pet owners, especially for families with cats, I think it would be a great gift for young children when they get their first kitten. A lovely story with gorgeous appealing illustrations, When Tom met Tallulah will definitely bring smiles to the faces of young children (and cat lovers).